Public participation is an essential process in every democratic state. 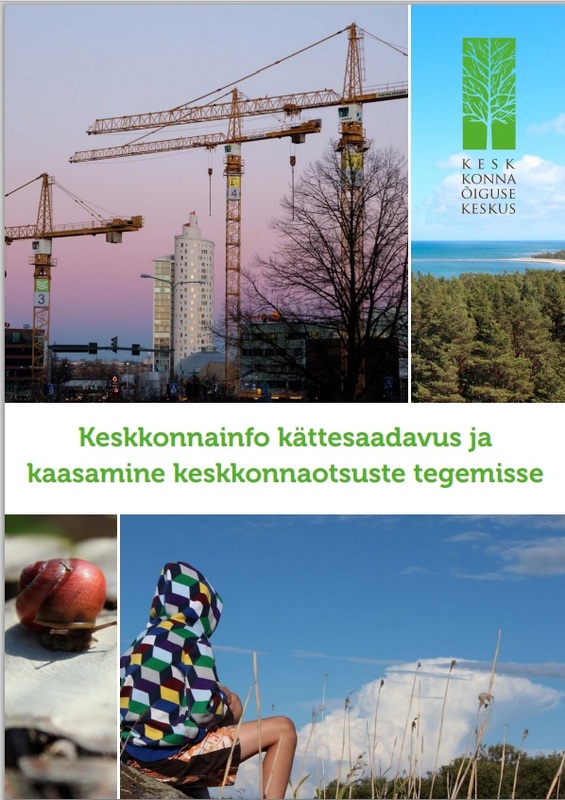 People must have a say in important environmental issues concerning their home place or the entire Estonia. Therefore, the officials should be really good at providing participation opportunities as only this leads to best decisions. In order to be good at providing participation opportunities, one must know all the requirements, but also their background. Environmental information includes many different types of information that could be hard to explain for ordinary people. Both the legal requirements for environmental information disclosure and public participation as well as their practice are not fully clear to the officials. Therefore, the guidelines explain the background of the requirements, especially the case-law based on the Aarhus Convention requirements. The guidelines aim to clarify, how to comply with the general requirements in the local context, e.g. in the proceedings of the permits for planning, mining, waste management or integrated environmental permits. This information helps the official to do their jobs better and the citizens to participate and voice their opinions. The guidelines were launched in September on our web page. EELC also introduced it to the officials via seminars that took place in different Estonian towns.